Okay so I’m not going to ramble on about pancakes and how good they are, because we all know they’re great and don’t deserve one day a year to be recognised!! I’ve always loved baking and wanted to try and find an alternative recipe for pancakes without all the extra calories! If you’re looking for a pancake recipe that isn’t going to add on any extra pounds and is actually nutritious then definitley try this out. 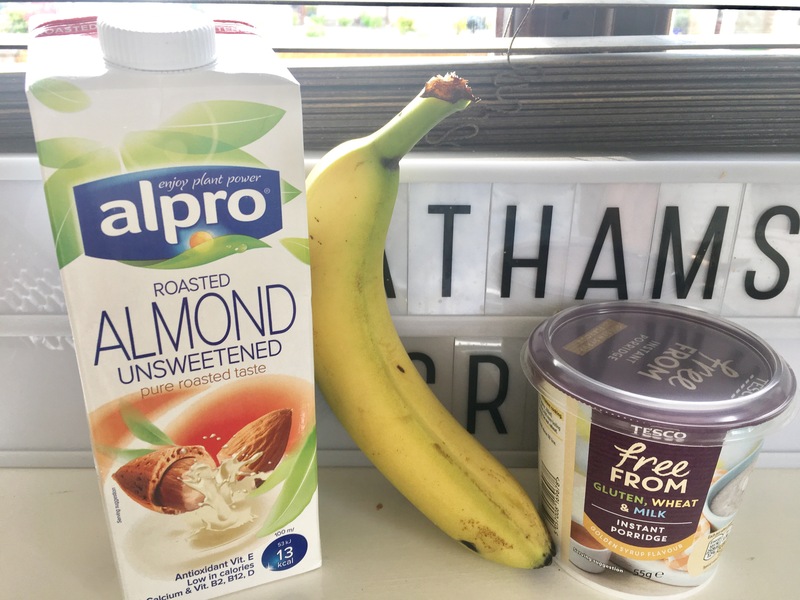 All you need is, almond milk (I use unsweetened), oats, a banana and a smidgen of coconut oil to cook with! That’s all!! 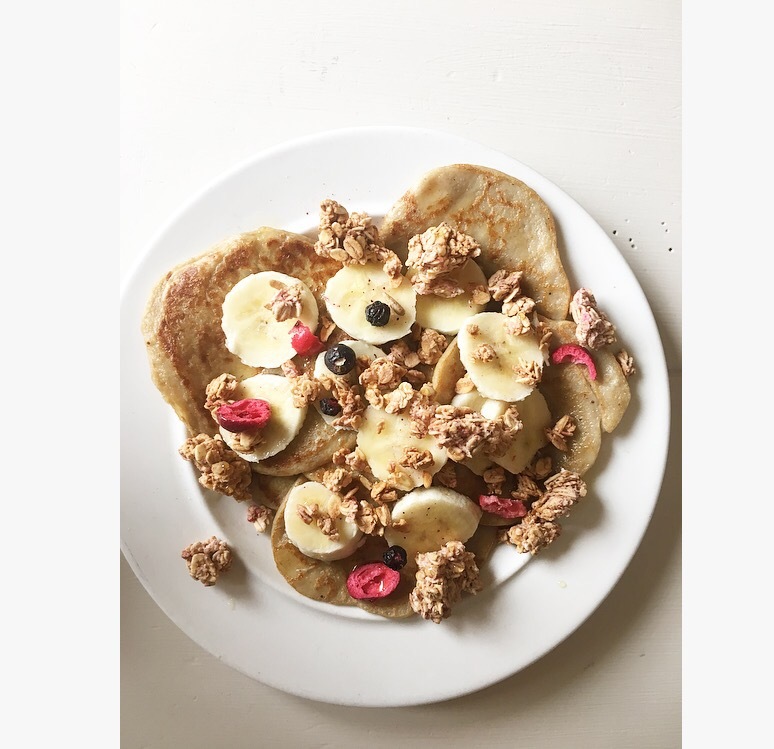 I topped mine with banana, some berry granola and agave syrup!!! Let me know if you try this and I’ll also be posting more recipes on my blog as I’m still experimenting with new foods. Next Next post: Quick and effective outdoor workout!